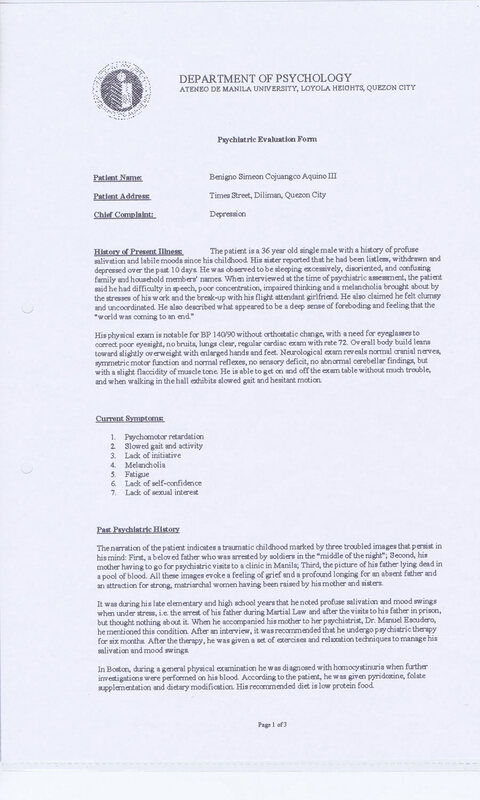 Is this Sen. Aquino’s psych profile? What was Fr. Carmelo Caluag doing signing reports at the Ateneo Psych department? I got this in my spam folder too. From an address at the @pagbabago2010.com domain. Hmm. Those aren’t supposed to be made public. Ha-ha. Um, Fr. Caluag was principal of AdM High School in 1996. Unless there are two people who are exactly named Carmelo A. Caluag II, S.J. Oh, I get it. That’s what the “II” means. Somebody also texted me a while ago to say that Ces Drilon fell for it. Anybody watch the news? 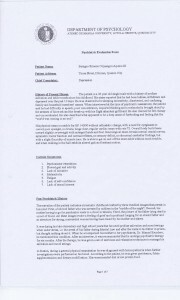 The easiest to make digital fakes of are documents. And ABS-CBN came to his defense.. How credible. As you may have already heard, Ateneo disavows the documents. 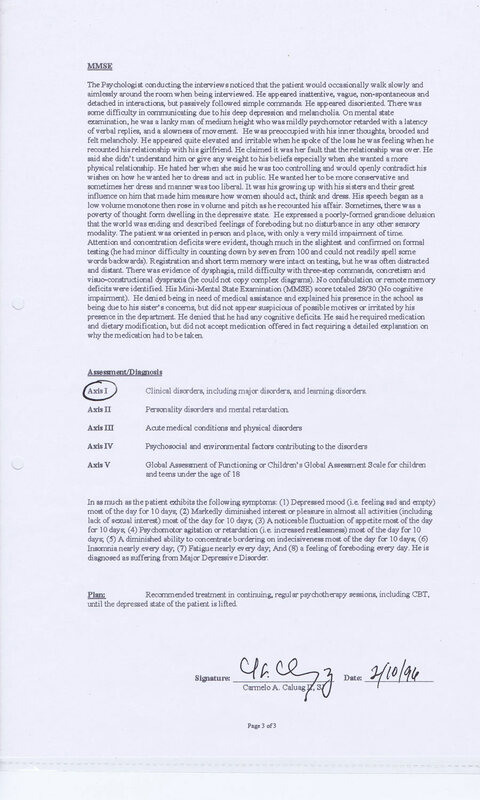 And, if you look closely at the document title, it says “Psychiatric Evaluation Form.” Psychiatrists are medical doctors, so this thing should have been signed by an MD. Ateneo’s medical school opened only in 2007 so it is highly improbably that they would have a psychiatric clinic eleven years before they got into the health sciences. @BenK: Exactly. He was our principal then, so that was an automatic red flag for me. @Josh: Same address I got it from, actually. 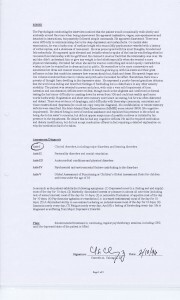 @Dicklip: Are these the documents you were talking about? Or are there other, more authentic ones? What’s funny is how Adel Tamano was all “It wasn’t us. 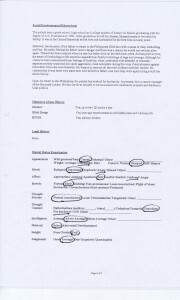 Why would we send ABS-CBN those documents when you’re obviously biased against us anyway? But we have to look into whether Aquino does have mental problems, etc.” Dude just lost my vote. @oneT: NOPE. Definitely not. These aren’t it. 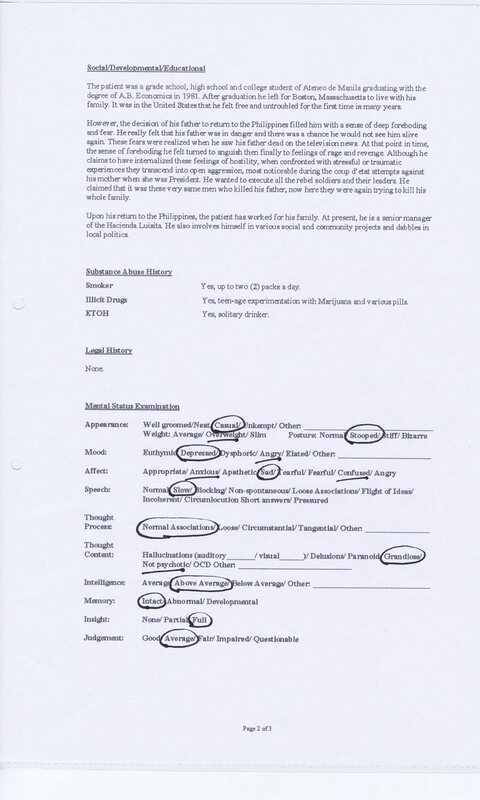 Actually, these papers are FATHER TITO CALUAG’S psych profile when he was 38 years old.